Assets of an established business can include its customer base, industry goodwill, established suppliers and skilled employees, as well as identified cash flow. On the other hand, the cost of buying a business is usually higher than starting one yourself. Buying a business is complex at best. One you have decided on a potential purchase you will need to do research, decide on a viable price for the business, decide from one of many types of purchases, get financing needed and much more. The following tips will help you determine whether purchasing a business is right for you, and will prepare you to meet with a Certified Business Advisor, who can provide further advice and guidance. What will owning this business be like? Talk to the current owner and spend a day or two in the business to experience the business first-hand. If not, how will you get it? Do you understand what it takes to run a small business? Don’t rely solely on what the owner tells you. Probe. Ask around town. What kind of reputation does the business have? Have there been legal or financial problems? Visit the business unannounced, as a customer. Ask the owner for the business records. You‘ll want to see a current balance sheet and financial statements for at least three years, including tax returns and the most recent twelve months’ financial statements by month, to determine any seasonal fluctuation. What are the terms of the lease? Do the statements appear to be accurate? Have they been prepared by an accountant? Are they audited statements? Request a specific list of all the assets you will be buying and what they are worth. Is property included? Inventory? Equipment? Generally you will be buying only the assets and goodwill, and not liabilities. Ask the seller to submit a Request for Tax Status with the WA Department of Revenue to ensure there are no back taxes owed. What will the seller want from me? The seller will most likely want some information from you before they release their financial statements. This may include: a nondisclosure or confidentiality agreement, a copy of your resume, and a copy of your personal financial statement. The seller will want to know that you are a serious buyer and have the financial means to buy this business. Remember that you may be competing with other potential buyers. Your advisory team typically includes your attorney, your accountant, your banker and your SBDC Certified Business Advisor. How do I finance the purchase? First you will need to determine how much cash you have and how much you will need to borrow. Will the seller finance all or part of the deal? How is your credit? Can you get a bank loan? What will you use for collateral? Are the business assets sufficient collateral or will you need additional collateral, such as equity in your home? The offer is usually made in the form of a purchase agreement or a letter of intent. A letter of intent is a non-binding agreement that allows the buyer to take a closer look at a business and its records before committing to a formal contract. The letter of intent lets the seller know that you are serious and that the two parties are in agreement on the basic terms of the transaction, such as price, terms, conditions, and timing. Some things to consider in your offer are: What is the proposed purchase price? What are the terms? Will you ask the seller to finance all or part of the purchase? Many times a lender will want the seller to finance part of the sale to ensure that the seller has an interest in helping the business continue to be successful. Will the seller be available after the sale to help train you or answer questions? How will the transition period be handled? How likely is it that key employees will stay with the business? Should you ask for them to sign an employment contract as a condition of sale? Your SBDC business advisor can assist you in determining other issues to be included in the offer letter. You may also want to get your attorney involved in the drafting of the offer. 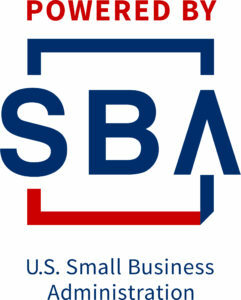 SBA Buying Existing Businesses includes steps to starting, Advantages/Disadvantages, Due Diligence, Value, Research and Closing. Suspect fraud.wa.gov? State sponsored site for checking out a business.